Wouldn’t it be great if you could protect yourself from that negative co-worker at your office? You can! There are many different crystals that can help with this. Wearing them, carrying them in your pocket, or even placing them on a shelf in the room can help draw off negativity that can adversely influence you. Negativity can manifest itself through symptoms similar to stress, such as upset stomach, feeling tired or a general lack of energy, and can even cause you to become angry or negative yourself. 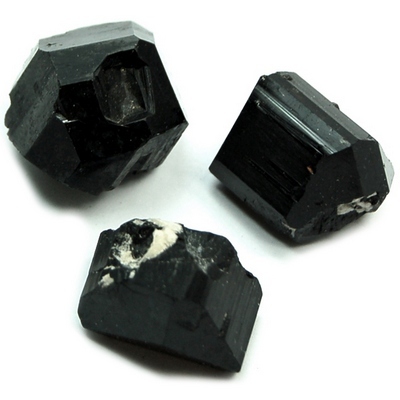 One of the best stones for purifying negativity is Black Tourmaline, also known as Schorl. This powerful stone is also excellent for grounding, relieving stress and protecting against electromagnetic stress. It was used in ancient times in the Mediterranean region, and by the 1700s was being imported to Europe by Dutch traders. Most Tourmaline now comes from Brazil, the United States (near Maine), Madagascar, Sri Lanka and Russia. Black Tourmaline pendants, such as these naturally terminated pendants, can be worn when around people with a negative attitude. While displaying this pendant, you will notice that your energy will be unaffected by them and you will be able to maintain your positive mood. This crystal is especially useful for those under a lot of stress. Also try placing Black Tourmaline tumbled stones around your home to keep harmony and an uplifting atmosphere. Another great crystal for combatting negativity is Topaz. Ancient Egyptians and Romans wore Topaz, as did eighteenth century royalty from France and Spain. During the Middle Ages it was widely believed that it prevented insanity and strengthened mental powers. Because of Topaz’s amazing ability to bring joy into your life, negativity cannot endure in its presence. Topaz is also great for relieving tension and stress. It promotes health and stabilizes the emotions. Try wearing a Topaz Pendant, as it works best when placed on the skin, and experience the benefits for yourself. If you are looking to control emotional negativity within yourself, Carnelian is a crystal for you. Carnelian, named after the Kornel cherry with its orange and reddish color, is a high energy stone that resonates best with the Sacral chakra. Protecting from jealousy, rage and resentment, this stone can help the person carrying it as well as those around them at the same time. Tumbled stones are perfect for carrying in your pocket. Carnelian also has another wonderful quality. It can be placed amongst other crystals and will clear the energy of the other stones. Carnelian is one of the few stones that never needs clearing. In Feng Shui, placing Carnelian near your front door encourages abundance in your home. Smokey Quartz will quickly draw negative energy to itself and away from you. Another excellent grounding stone, natural irradiation gives this quartz its smokey color. This crystal comes from the United States, as well as Brazil, Madagascar, Australia and Switzerland. Smokey Quartz encourages organization, and is very useful for students to help them focus and can also help teachers to have patience. It reduces stress, lifts depression and fear, and promotes calmness. This crystal works well with Black Tourmaline, and also protects against electromagnetic stress and the negative effects of radiation, therefore making it an ideal stone for chemotherapy patients. Although it resonates with the Root chakra, Smokey Quartz also has the ability to raise your energy, while neutralizing negative vibrations. Placing a sphere by your bedside can offer relief from nightmares. Of course, there are many other crystals that can block negativity too and all crystals that can help block you from negativity also pick up the negativity themselves. Remember it is always important to clear the energy of these crystals regularly. Over time you will notice the effectiveness of the crystals has diminished. This is a sign that it is time to clear them. This can be done by leaving the crystals overnight in the moonlight, placing them in sea salt, playing the right sounds, and also by smudging. Smudging is a Native American process of burning incense, usually sage or sweetgrass, and passing the crystals through the smoke. There are a few stones, like Carnelian, that have the ability to clear other stones around them. One way to use Carnelian for this purpose is to store it in a small pouch with other crystals that need clearing, when it's not in use. Once the crystals have been "cleared" they will regain their original effectiveness. By using crystals to block and neutralize negativity, you will immediately notice the results. Any symptoms you were beginning to have, will dissipate and you will be more relaxed, even around the most stressful people. Be sure to carry your crystals with you everywhere. Take steps today to protect yourself from negativity!